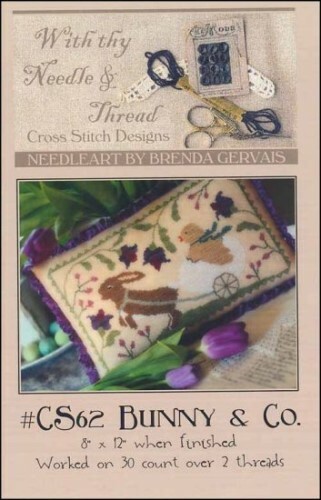 Cross stitch pattern by With Thy Needle & Thread. A rabbit pulling an egg shaped cart with a chick in it. Purple flowers accent. Stitch count 156w x 95h.